Centre back Charlotte Potts has joined Canadian side Calgary Foothills in the United Women’s Soccer League ahead of the North American 2019 season. 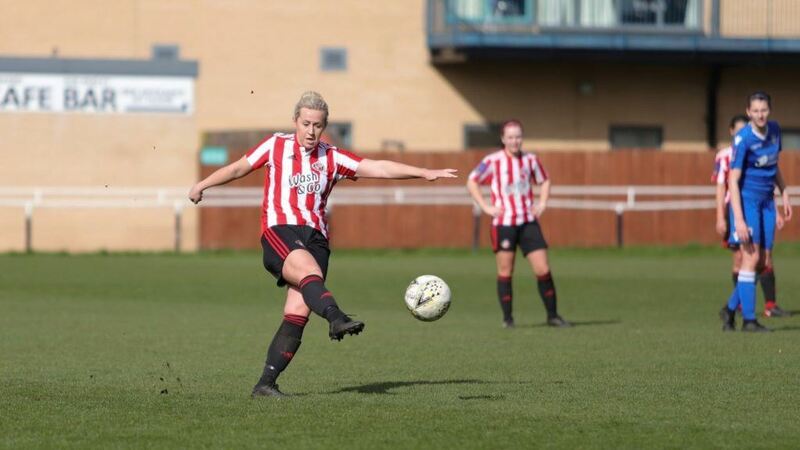 Potts returned to Sunderland for a third spell in February to help in the club’s battle for second place in the FA Women’s National League, playing five games during her most recent spell. Calgary Foothills won the Western Conference of the United Women’s Soccer league before losing out to eventual National champions Houston Aces in the National Semi-Finals. Sunderland manager Melanie Reay paid tribute to Potts following her sides 4-1 win against Guiseley Vixens on Sunday. “I’ve known Pottsy a long time and I’ve seen her develop into a great defender, calm on the ball and reads the game well,” said Reay, who has coached the defender since college. “All I can say is a big thank you, she has come in and done us a huge favour in the time she has been with us. “Even before she signed her influence has been a great help to our younger players. Potts took to social media to thank players and staff of Sunderland and look ahead to her move.